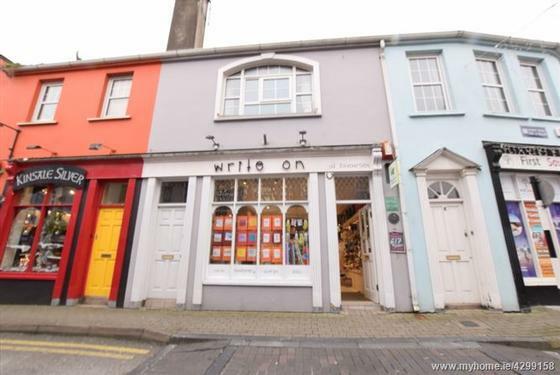 ERA Downey McCarthy are very pleased to offer this commercial/residential property with a shop unit on the ground floor and a one bed apartment overhead. 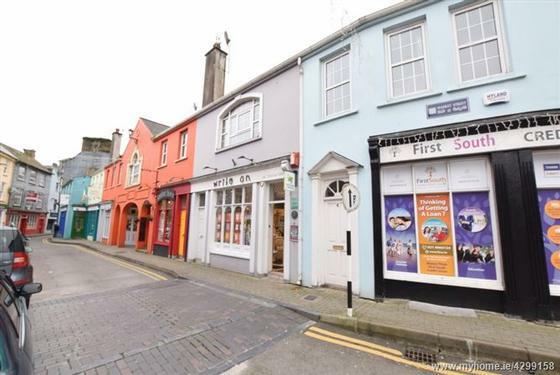 The ground floor commercial unit is currently operating as a retail unit.The first floor apartment is very well presented and in good condition throughout. 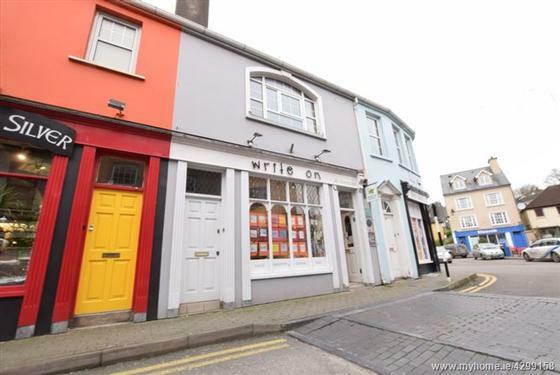 Overall this presents a fantastic opportunity to purchase a mixed use property in the heart of Kinsale Town Centre. Accommodation consists of : Ground Floor - Open Plan retail unit with a small store area. 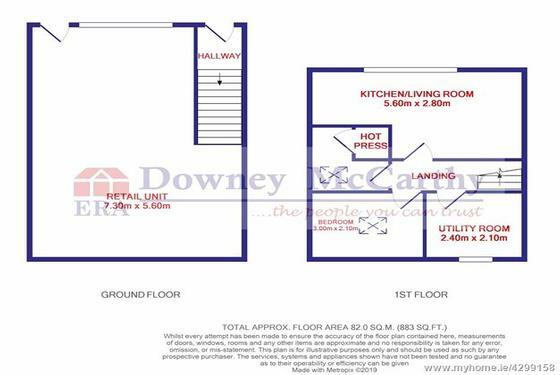 First Floor - Kitchen/dining/living, Utility, one bedroom and one bathroom. The retail unit has a suspended ceiling, Aircon ,Tile flooring. 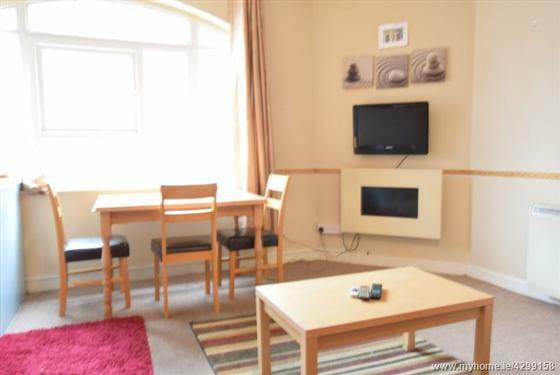 The apartment has independent access from the commercial unit. 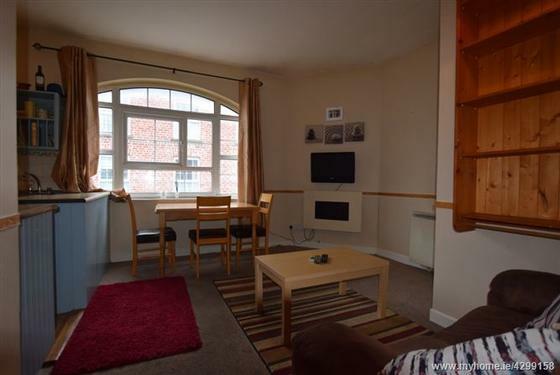 The front door allowing access to the apartment and the door allowing access into the commercial unit are both accessed from the street. The reception hallway has a flight of stairs leading up the first floor apartment. The hallway has carpet flooring, one centre light fitting and a Stira stairs allows access to the attic from here. The attic has one velux window and the hallway has a window which floods the area with natural daylight. 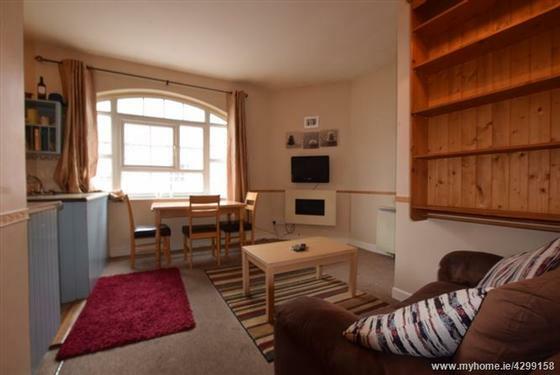 The Living Area has carpet flooring, one centre light fitting over the area, an electric radiator, 8 power points, an ornamental fireplace and a large double glazed window over looking the front of the property. 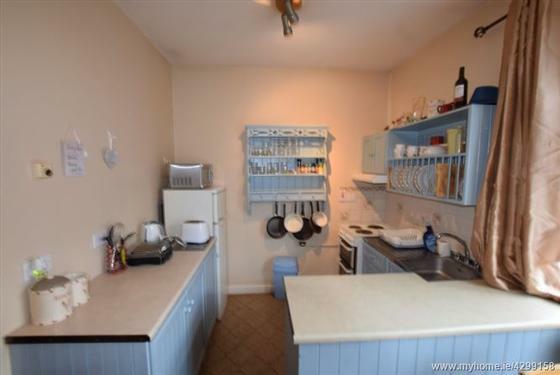 The kitchen area has floor units, presses on the wall for storage with tile splash back, wash hand basin, oven, 6 power points and one centre light piece. 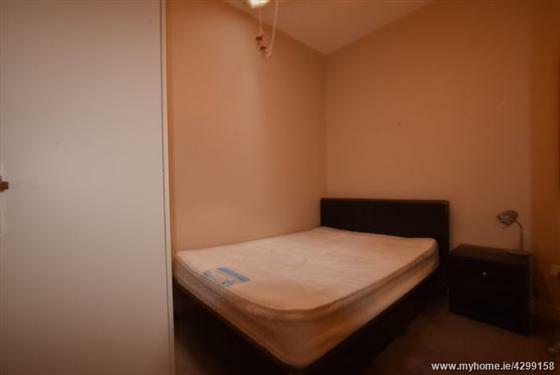 Features in the bedroom include one centre light fitting, a velux window allowing natural daylight into the room, carpet flooring, electric radiator and a single double plug power point. 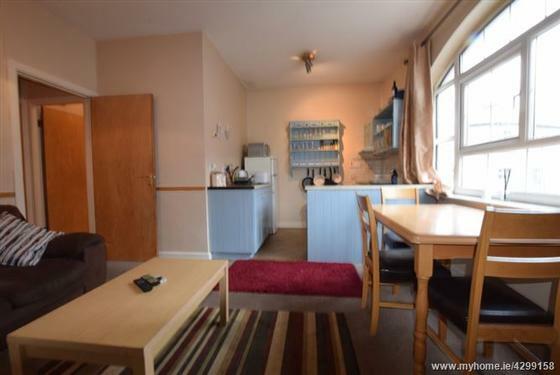 The utility room has carpet flooring, one centre light fitting, electric radiator and a double glazed window overlooking the rear of the property. The bathroom has one bath with shower head overhead. 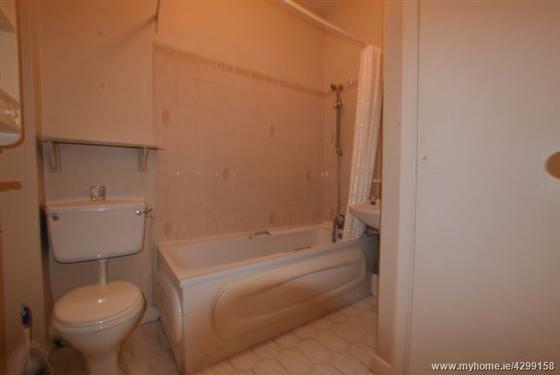 Features include one W.C, wash hand basin, hot press, extractor fan, tile flooring and one centre light piece.